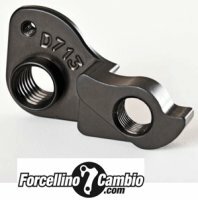 Derailleur Hanger for Cannondale bikes available in aluminum or CNC machined from a solid to a greater shifting precision and a slight resistance higher than the dropout series , always with attention to save the frame during the impact . 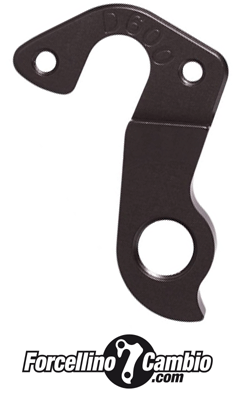 Cannondale kids trail 24" derailleur hanger 6061 T651, made with CNC technology. Black anodized. Lighter and more durable than the hanger series. 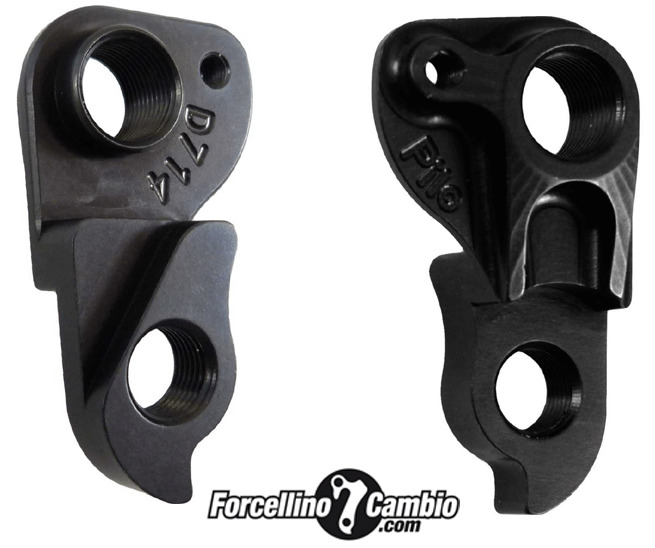 Cannondale KP381 Habit maxle derailleur hanger 6061 T651, made with CNC technology. Black anodized. Lighter and more durable than the hanger series. 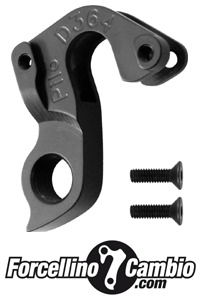 Cannondale 1FG Ultra 2007 derailleur hanger 6061 T651, made with CNC technology. Black anodized. Lighter and more durable than the hanger series.